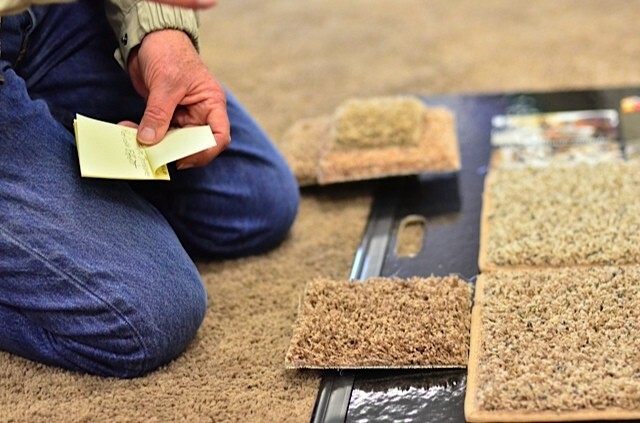 There’s an excitement in our home, because approximately this time next week, we’ll be installing our new Mohawk SmartStrand carpet throughout the house! I can already feel the coziness during the upcoming holiday months (as we’ve been trying out different samples throughout the house). 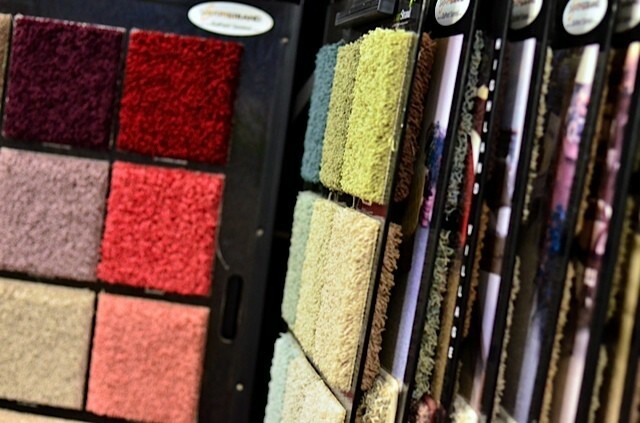 There are so many things to consider when choosing carpet for your home – so many different styles, looks, patterns, colors. Did we want a lower pile, a shag or plush, or maybe friese (a low pile shag) with a fleck pattern? Pile heights include longer plushes and short velvet piles. The deeper the pile, the more luxurious feel, but shorter piles tend to be easier to care for. Shag has pile so long it doesn’t stand upright, giving a carpet a “shaggy” look. This is the kind I grew up with in the 70s. Silk carpets are soft and luxurious, but often the prices are higher because fiber is blended with wool. Plush is cut to a smooth, level height, and all around COM-FY! 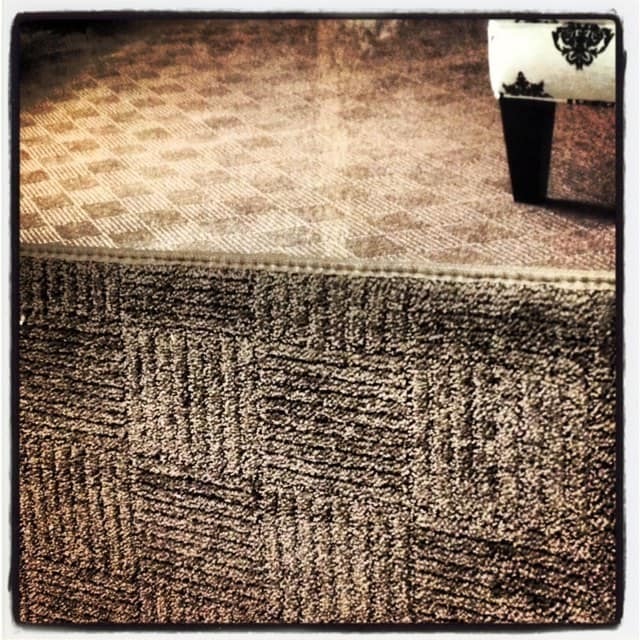 Friese is a cut-pile carpet with twisted yarns and a crimped, textured appearance. Vacuum marks and foot traffic easily shows, but it’s a great look for an informal room. 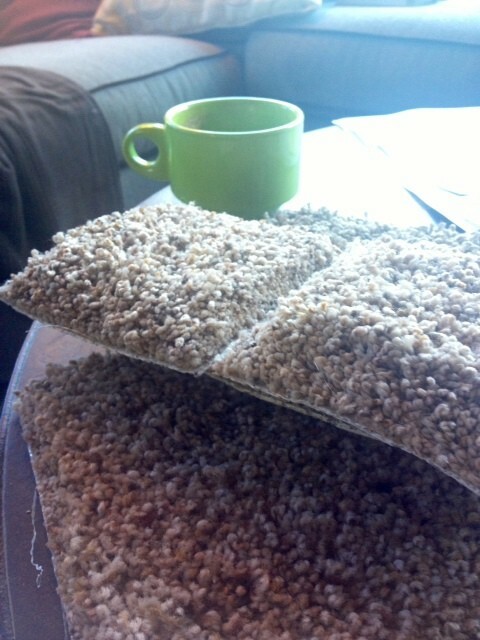 Loop-pile carpets are called berber. When you’re making such a large investment for your home, you really need to think through each room, the purpose of the room, the flow, and what the wear and tear will be, before choosing the right style! I want to share with you how we chose what we did for each room. I actually became a bit overwhelmed with so many choices, so I reached out to my Mohawk friends and asked for some design help! What happened next was a very cool experience for me. 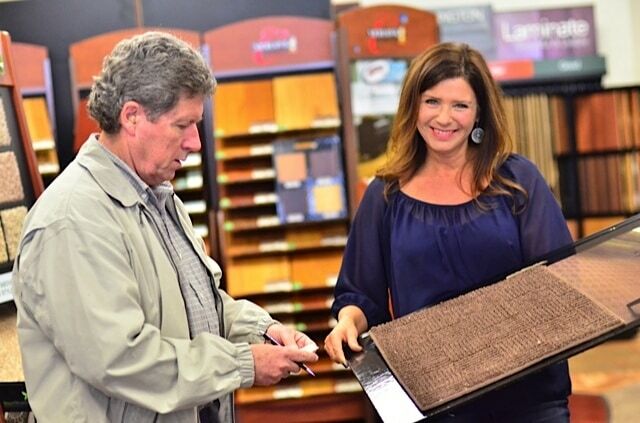 Mohawk Flooring put me in touch with designer Taniya Nayak from HGTV’s Designed to Sell show. (Interior Designer, HGTV Host, House Hunters on Vacation, Destination Design, Designed To Sell, Food Network’s Restaurant:Impossible). Taniya is one of the nation’s foremost interior designers, so I was happy to have her expertise to help me out. I sent her iPhone pictures of each room in our house, the outside and inside of our home so she could see what style we were dealing with, and a little history of our home, lifestyle, kids, pets, etc. Taniya was awesome. We talked about textures, patterns, the open floor style of our home. She took into consideration all the windows, the openness, the “natural” feel of the home. I realize not everyone can work with a national designer, so I recommend that you find a friend or someone with a good design sense, or someone who’s recently shopped the carpet world, to get their opinion. One of my running partners just got new carpet, so her experience was fresh, and I picked her brain about what style of carpets they decided to buy (she, too, has pets). Sometimes we can learn from our experienced friends, and glean from their research. We decided to stay away from shag carpets, going with a lower pile in each room, because of our pets. We considered darker colors in each room, especially our master bedroom, which is a high traffic area (slider to the outside, room right off of the hallway from the garage and kitchen). This room also has a pattern to the carpet, which will be new for us. At the end of our lengthy phone conversation, using iPhone pictures and walking around the house with my note pad, Taniya left me with a fun challenge. Taniya: Sandy, since you’ve been so safe with the colors you’ve chosen for your home (rightly so, since most of us think about what’s best for “resell”) why don’t you do something a little daring? Taniya: Since your sons are away at college, why don’t you let your daughter choose her own color for her room? Taniya: Something like … chartreuse! Me: Chartreuse? Are you kidding? That put a real spin on the carpet choices! 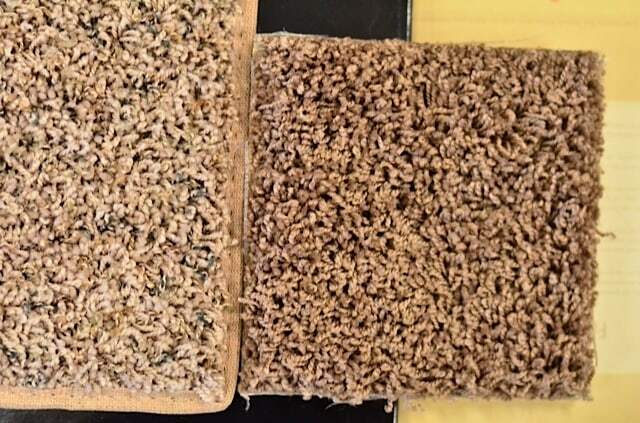 What type of carpet do you prefer? Low or high pile? Friese, plush, textured plush? 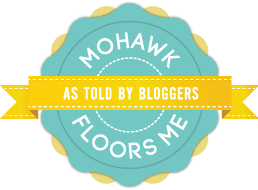 I’m partnering with the “Mohawk Floors Me, as Told by Bloggers” program, and will be receiving all of our padding, carpet, and labor as a part of the project, but as always, all opinions and experiences are my own. Hi, I’m Sandy. Pull up a chair and sit back and enjoy some daily inspiration, casual, simple entertaining ideas, and ways to reach out and grow your hospitality.